That is a ton of talent to add in one offseason to a team that was already at a quasi-championship level, and the Cubs should do well for it. Before I talk more about Heyward, I want to put this out there: in my opinion, his career thus far has been wildly disappointing. I remember in the summer of 2010 when he came up as a 20-year-old. People were making Ken Griffey Jr. comparisons, and rightfully so. We had not seen a 6’3, 210 pound center fielder run like he did, throw like he did, and possess the 500-foot-homerun power that he did since the Kid came up in Seattle 20 years prior. Instead however, Heyward is a career .268 hitter, he strikes out 40-50 times more than he walks every year, and has hit 20+ home runs ONCE. Having said that, he has either led or come in second every year he has been in the league in the “defensive runs saved” advanced metric, which shows how unique his combination of speed and throwing arm is in the outfield. 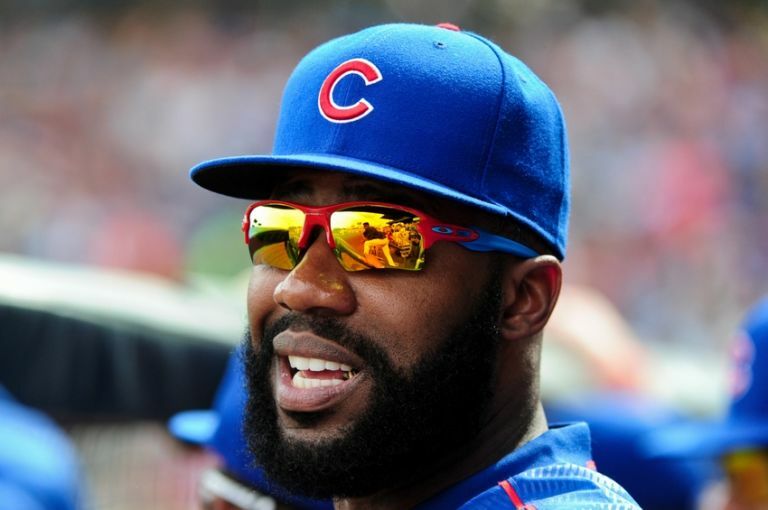 Heyward is the type of player, very much like Draymond Green in the NBA, where he would have been valued much less if this were the 1990’s before we got smarter about sabermetrics stats, and all of the implicit/hard-to-quantify things that go into being an effective ballplayer. Lo and behold, his world class defensive capabilities, plus his base-running prowess, and his (all things considered) slightly above average bat made him a $184MM man this offseason. On top of that, he is still only 25 despite being around “forever” due to the incredibly rare young age he came up. Since he started getting regular playing time under the Maddon-Rays of 2009, Ben Zobrist has morphed from “nice to have around” utility guy to a legitimate major league bat. He has finished with an OPS+ of over 100 in 7 out of the past 8 years, and it is no surprise he took less money to come to the windy city to play for his former manager in Tampa. As far as Lackey, his career in Boston was statistically nowhere near as disastrous as many Sox fans will tell you, had one of his best season a year ago with the hated rivals down in St. Louis. Something tells me at 36 he still has a couple good seasons left, and lord knows he has all the postseason experience in the world, dating back to the World Series MVP he won as a pimple faced 22-year-old on the ’02 Angels. While Yankees fans were busy worrying about CC’s gut, and Tanaka’s arm over the past couple of years, Adam Warren quietly became a solid middle-of-the-rotation starter for them, despite pitching in the unfriendly confines of the Bronx. But he is just icing on the cake here…this team made some serious acquisitions. Starlin Castro, another highly touted prospect who came up very young, was headed for stardom in Chicago, until a combination of his inability to hit breaking pitches and lousy work ethic got him traded to the Yankees. He is still only 25 and has probably not peaked (plus he has a beautiful swing that you just know will get put together eventually) so this loss could hurt down the road, but 2016 is not the beginning of that road. Meanwhile, Austin Jackson is the quintessential guy who is much more of an athlete than a baseball player, but his versatility and ability to play all three OF positions will be missed, although Heyward can do the same thing and is 100 times the player he is. That is a damn good lineup ladies and gentlemen, one that should score 800+ runs. 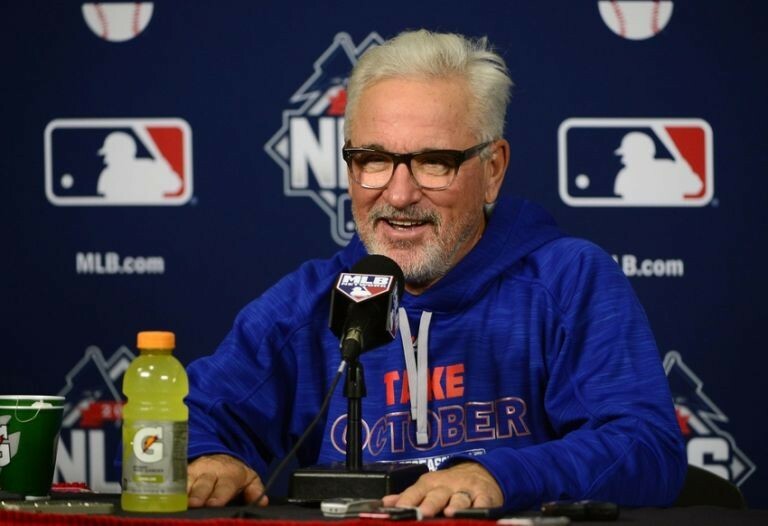 One of the most positive things you can say about the 2015 Cubs was the emergence of those aforementioned high draft picks they’ve had in recent years. 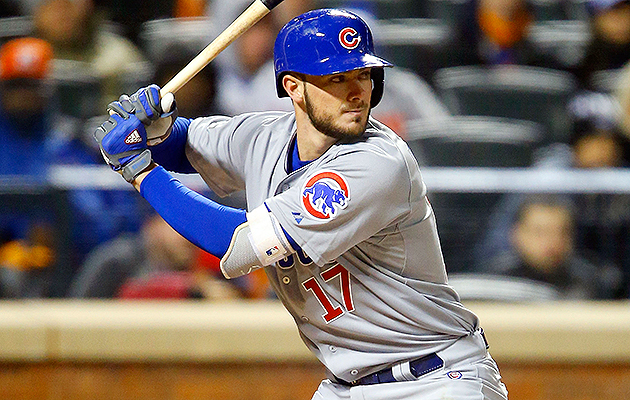 Kris Bryant is going to be an MVP some day, there’s nothing more to it than that. 2016 may not be the year, but him going .300/30/100 is not out of the question, and many would say likely based on his Rookie of the Year stats he put up in 2015. Former Indiana Hoosier Kyle Schwarber is an example of what the Minnesota Twins probably should have done with Joe Mauer a decade ago: save his knees, save his back, and move him from catcher to virtually any other position that is less physically draining. This way you can enjoy his prodigious bat until age 36, instead of him breaking down at 30. 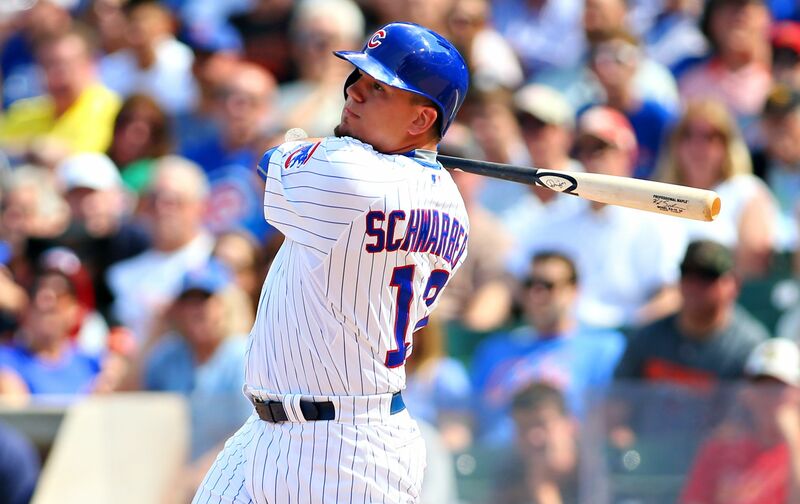 Having said that, Schwarber was an absolute butcher boy in left field last year, particularly under the bright lights of the NLCS, so let’s hope the ball isn’t hit to him as much this year in clutch situations. Rizzo, along with Bryant, is another guy who will likely win an MVP at some point in his career, and at 25 he is already an established star. If enough guys get on base ahead of him he can creep up towards a 140 RBI season, he’s THAT good. 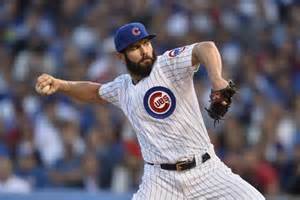 Once a highly touted prospect for the Orioles, Arrieta never quite put it all together in the charm city. Now in Chicago though, the reigning Cy Young Award winner stands as ongoing proof that you simply cannot give up on a pitcher with tons of potential after his age 25 season (unless he’s Phil Hughes who will tease you every year of his life with flashes of brilliance only to be let down again and again). That ungodly 1.77 ERA he pitched to last year is a reminder of how in this era of struggling bats, a pitcher can really confuse guys over the course of a season when he gets into a groove. After him come two borderline Hall of Famers, and main contributors to the 2013 champion Red Sox, as Lester and Lackey are now secondary rotation pieces instead of being relied on to be an ace. Meanwhile, you can do a ton worse than Hendricks and Hammel at the bottom of the rotation, Hendricks in particular would probably be a number three starter on most teams. He pitched to a 3.95 ERA last year despite never being fully healthy. As you can see, every…single…one… of the projected starting rotation had an ERA last year below 4. This rotation is incredibly deep and scary. Rondon doesn’t quite have the lights out stuff that you would typically see from a good closer (69 Ks in 68 innings), but with an ERA+ of 235 last year, he is just tough to hit. He had 30 saves in 2015, and that was with him not inheriting the closer role until June. 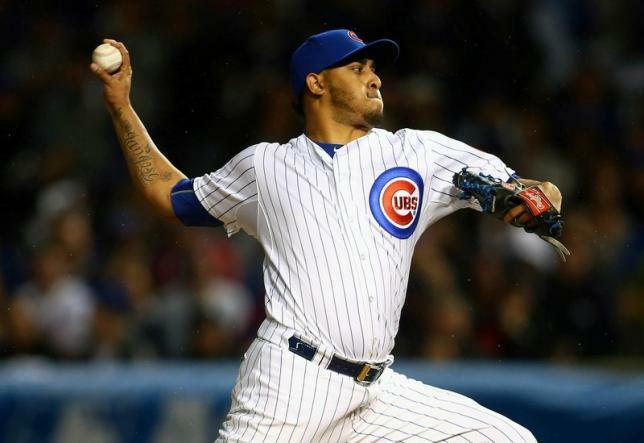 The only thing that will prevent him from saving 45 this year (other than injury) is if the Cubs are so good they blow teams out and he doesn’t come into enough save situations. Pedro Strop has ELECTRIC stuff, many compare him to a younger K-Rod and he looks poised to lock things down in the 8th. As far as the rest of the gang, Cahill, Wood and Grimm were all closers at one point or another, so you know they’re quality relief pitchers. This may sound like a running theme: but these guys are good. It has gotta be Kyle Schwarber, both offensively and defensively. As powerful as his bat is, he does strike out frequently (77 strike outs in 232 at-bats), and there are holes in his swing that teams in his division who come to know him well will exploit, as will the rest of the Majors as they do to all new hitters. He is a very high variance player this year: I can see him playing full time and swatting 40 long balls, but I can also see him striking out 90 times before the All Star break and being sent down by Maddon so he doesn’t shatter his confidence for the rest of his career. Defensively, he will be an ADVENTURE in left field as previously mentioned, and this is another part of his game that could get him sent down to the minors/to the bench if things don’t go well early on. HBT’s Prediction: No need for qualitative fluff here, this preview is long enough already. 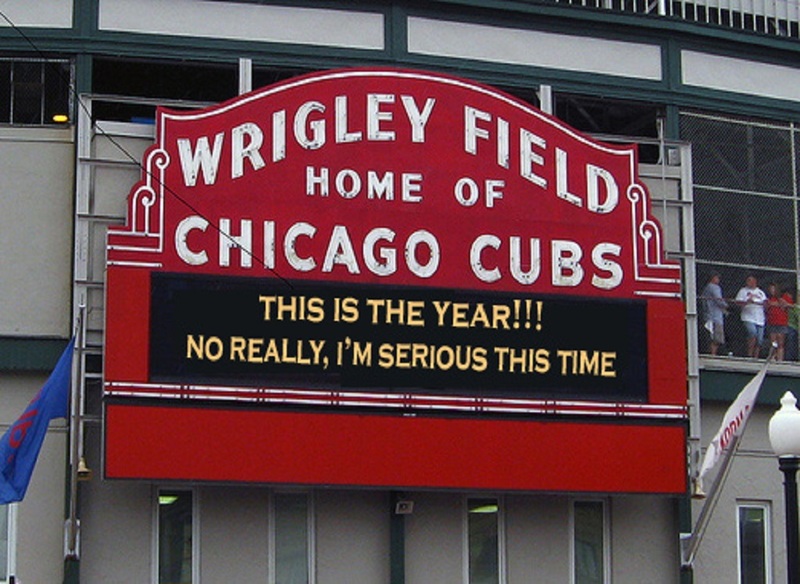 I am taking the leap folks: THE 2016 CUBBIES WILL WIN THE WORLD SERIES. 97 wins, 1st place in NL Central. Book it now.